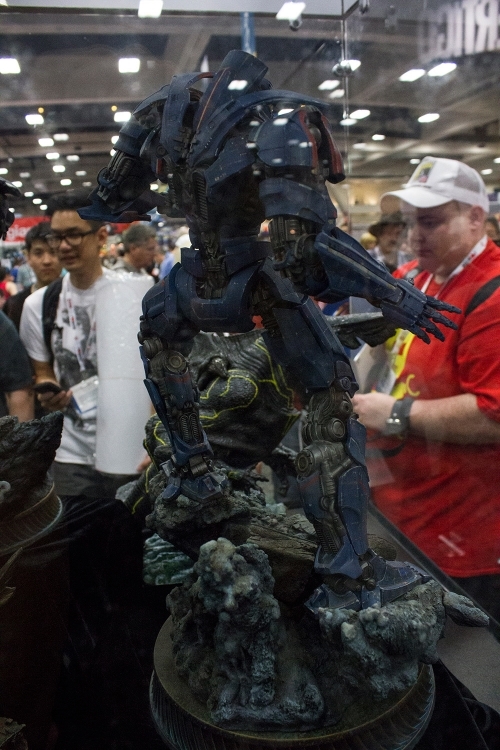 Sideshow Collectibles are one of the Best creators of Models and Memorabilia out there. They create the best collectibles of our favorite characters and icons from the worlds of film, television, comic books and popular culture. There are other cool manufacturers out there, but not as good as Sideshow Collectibles. 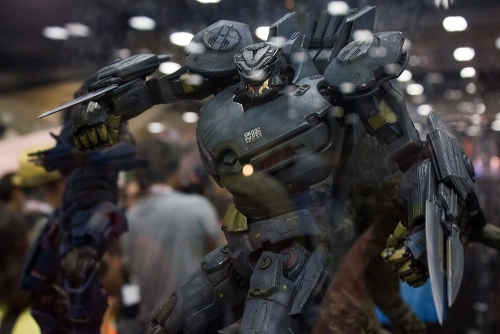 As for Comic-Con that is the biggest convention of Pop Culture in the world which takes place in San Diego, and in these pictures are the models for Pacific Rim which I loved. 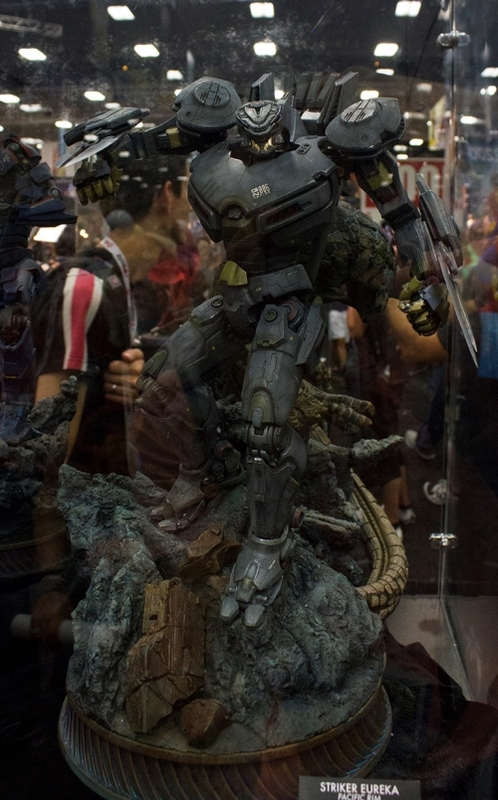 I usually try to get my hands on any Robot Memorabilia out there like Transformers, Reel Steel, and now Pacific Rim. This was a surprise for me, another Jaeger, Striker Eureka, “the strongest and the fastest” Jaeger with 11 Kaiju kills, and make up the Resistance’s “go-to team”. 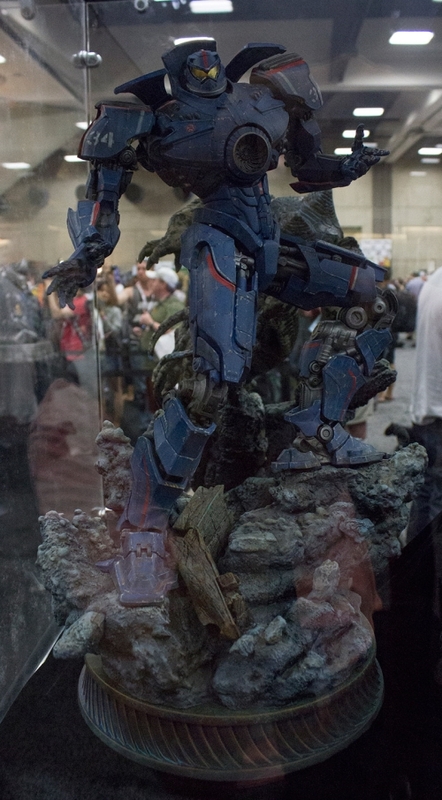 It was one very cool looking Jaeger, and now that Sideshow has developed it into one very cool looking model I love it. It’s not up for PreOrder yet, but when it is, I am ordering it. The pair of Jaegers will look good together, and it will give me something to enjoy while I wait for Del Toro to come up with the sequel for Pacific Rim which revolves around Drifting. If you haven’t seen the movie, you should go see it.